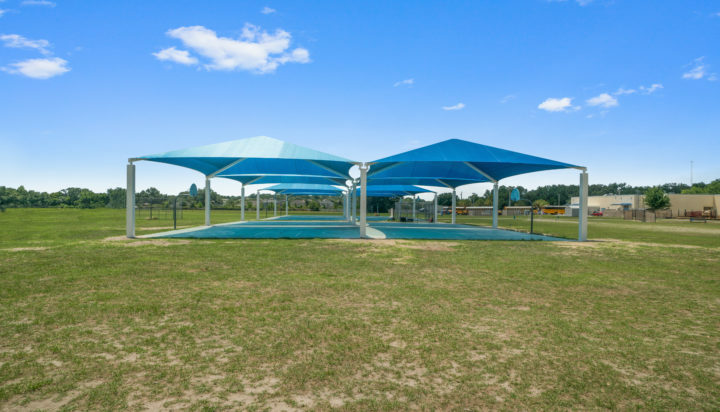 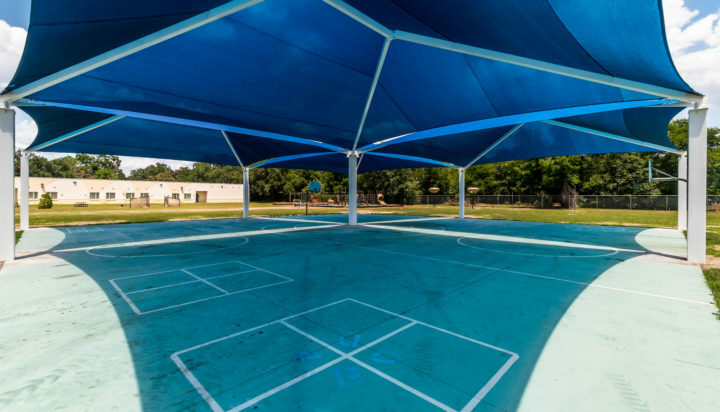 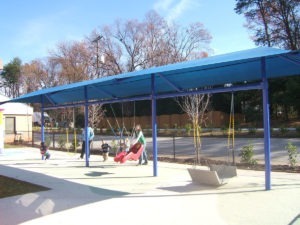 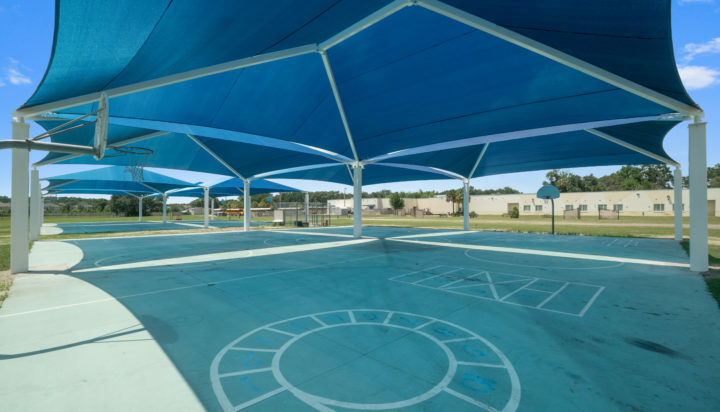 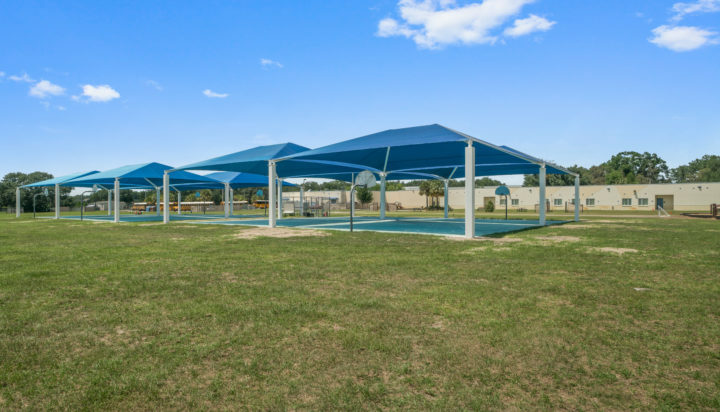 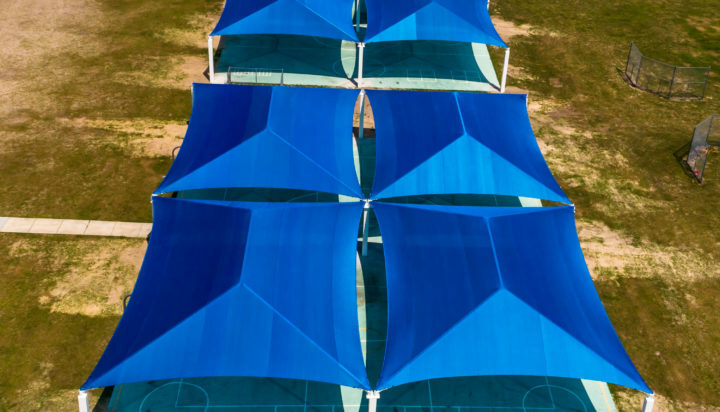 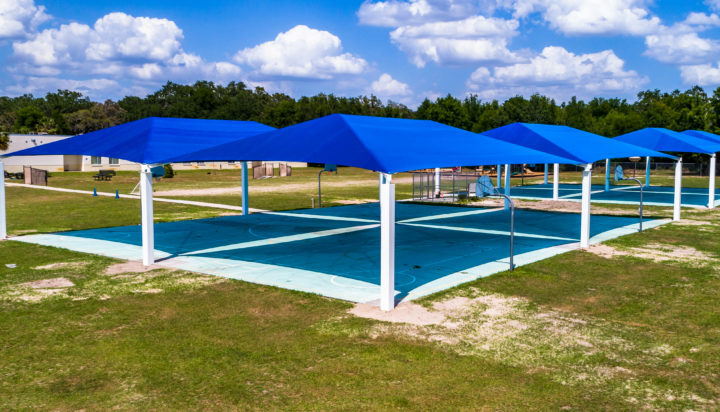 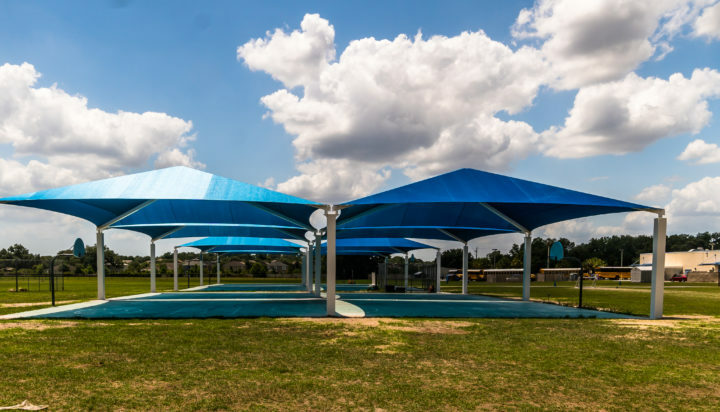 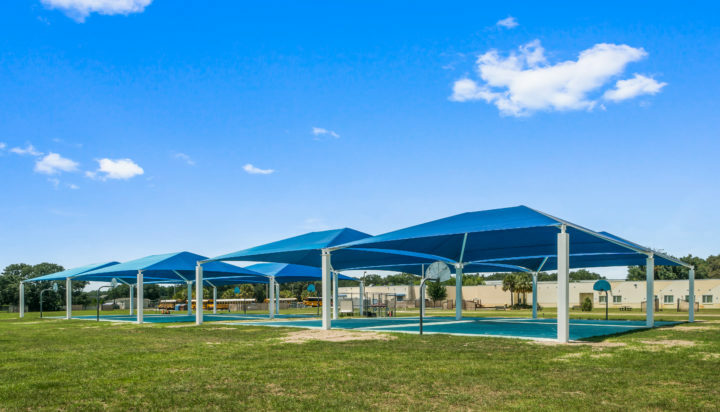 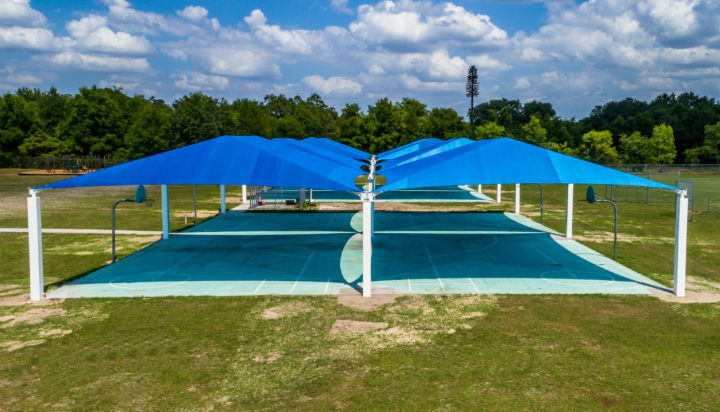 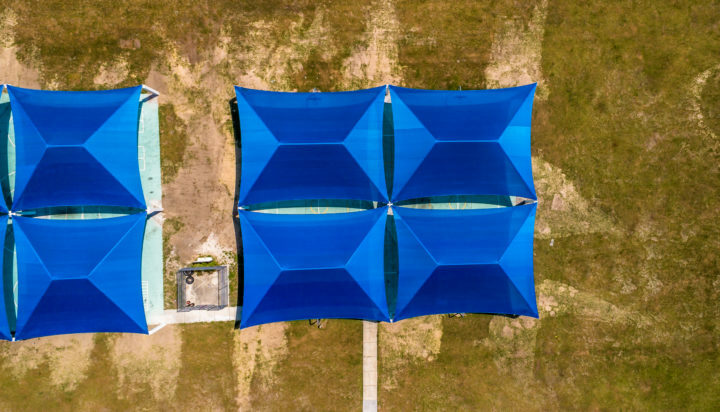 There were shade structures from a different manufacturer installed at this location. 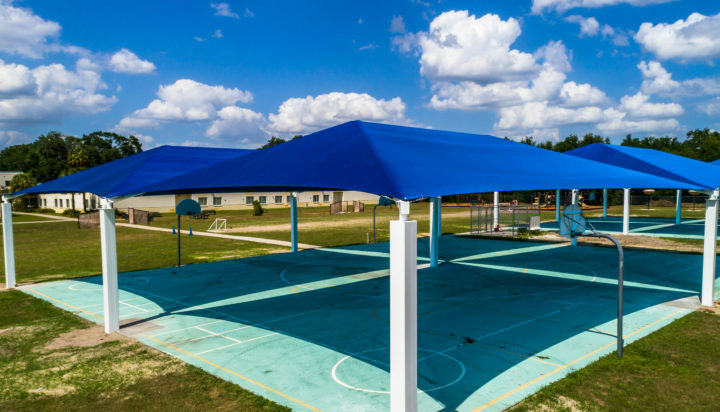 Unfortunately they failed during storms last year. 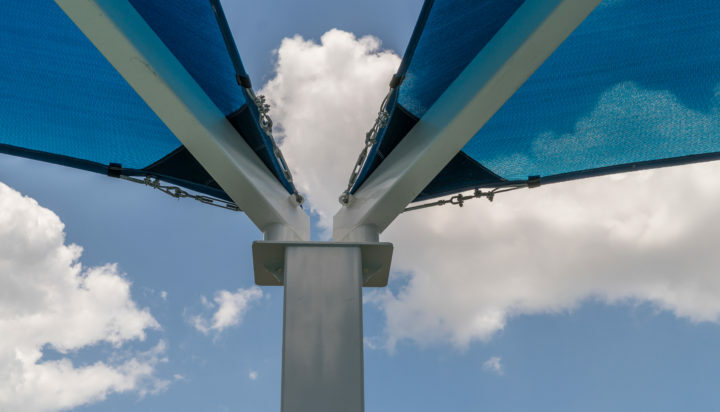 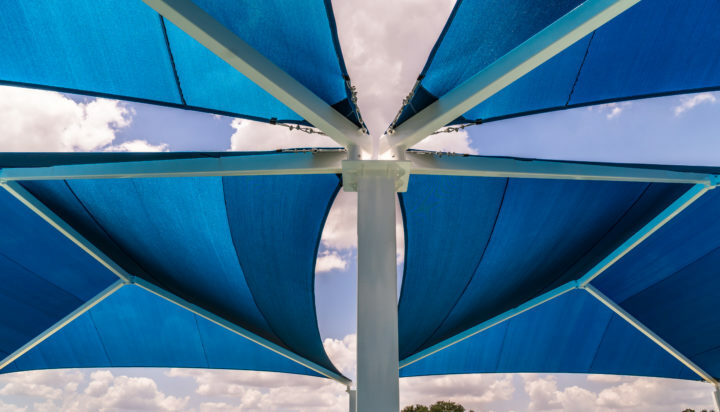 We were brought in to replace the shades with new versions that were correctly engineered and installed to meet the wind load requirements of this region. 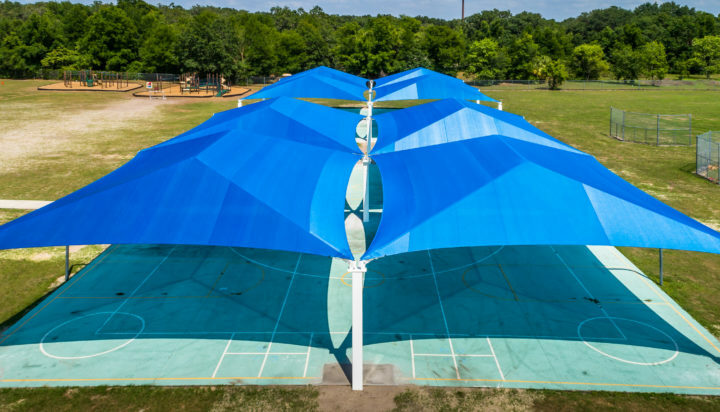 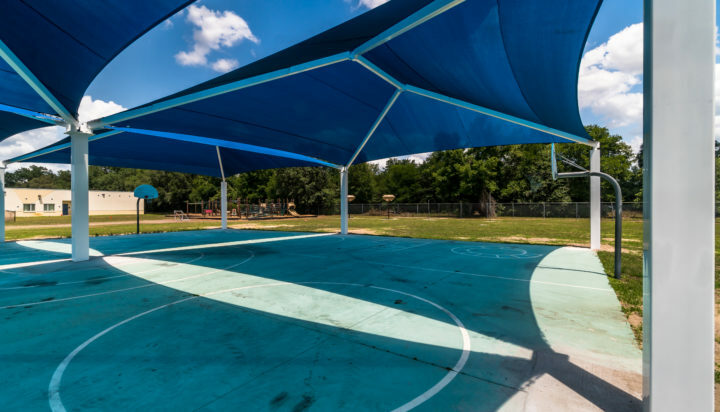 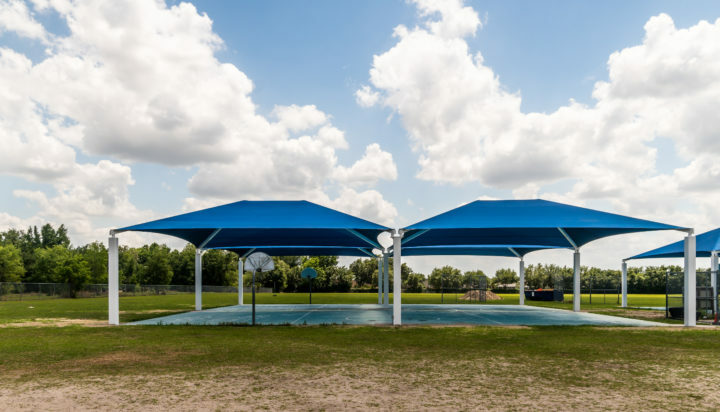 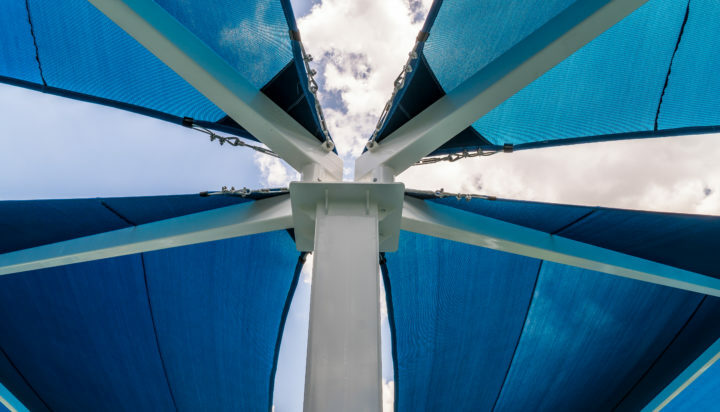 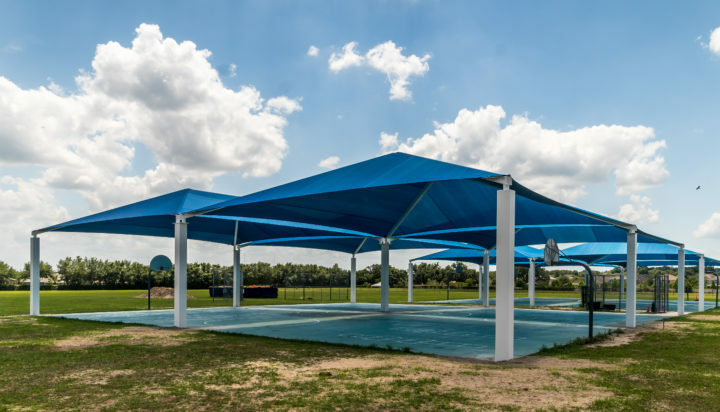 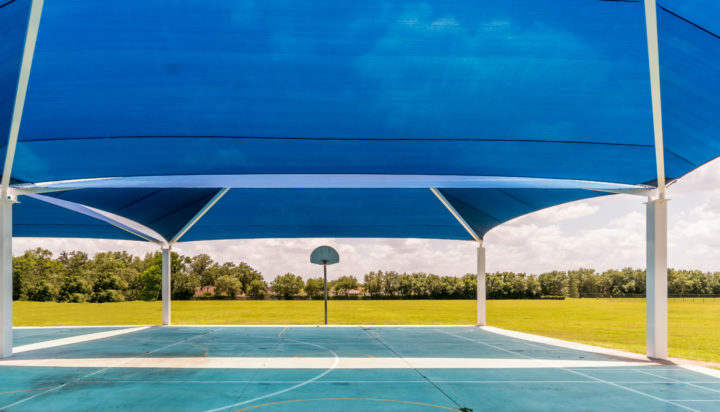 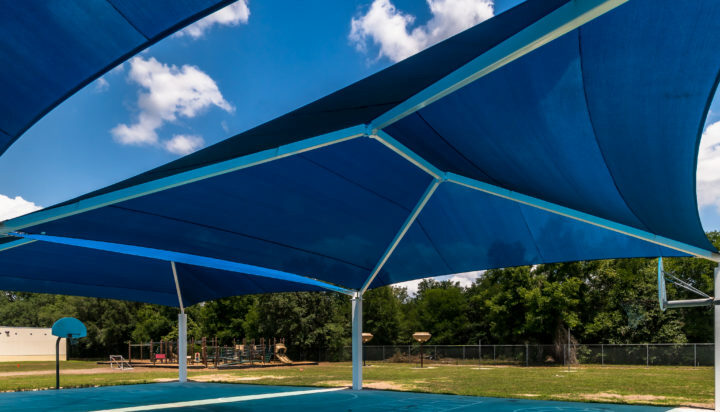 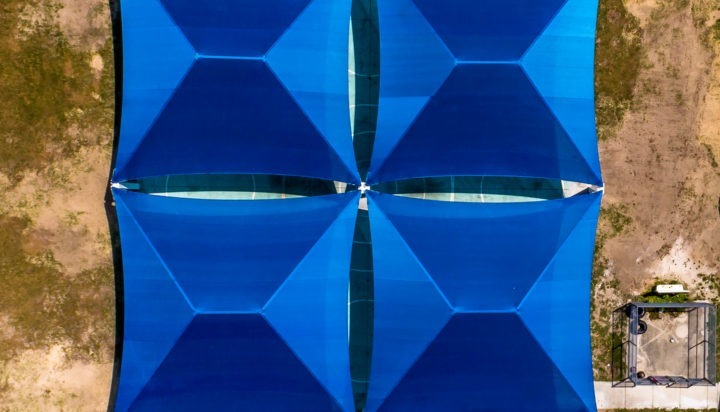 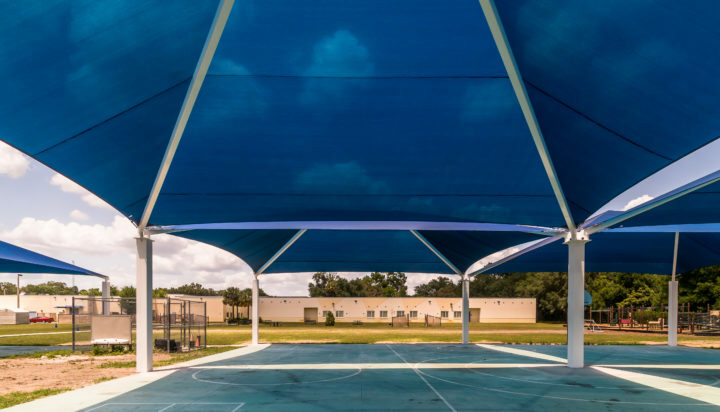 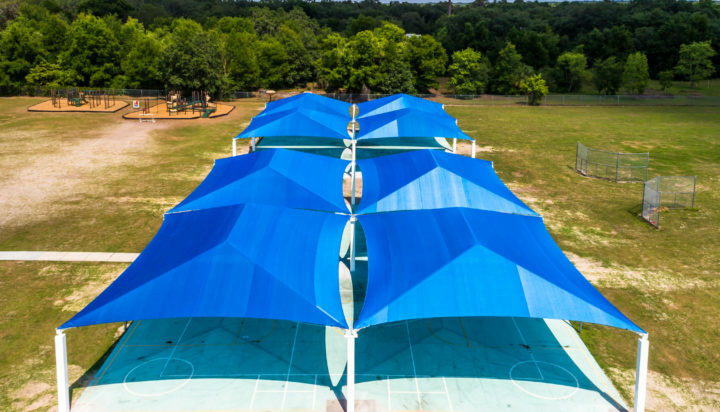 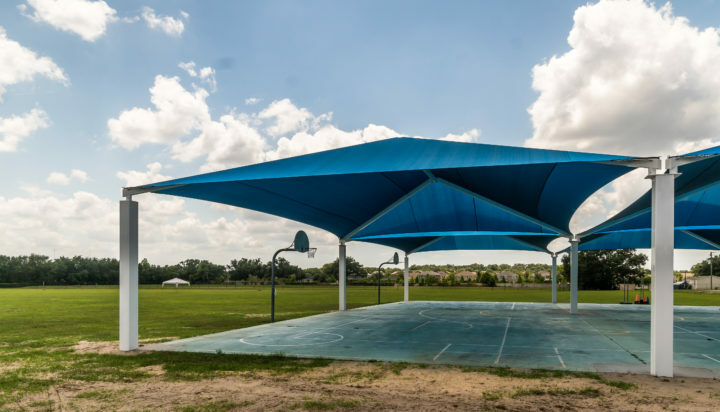 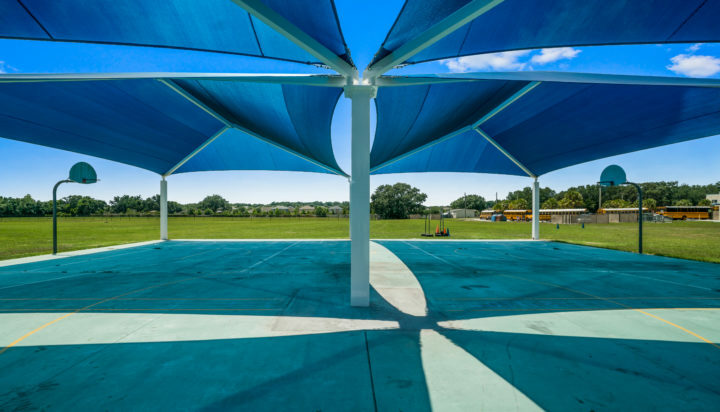 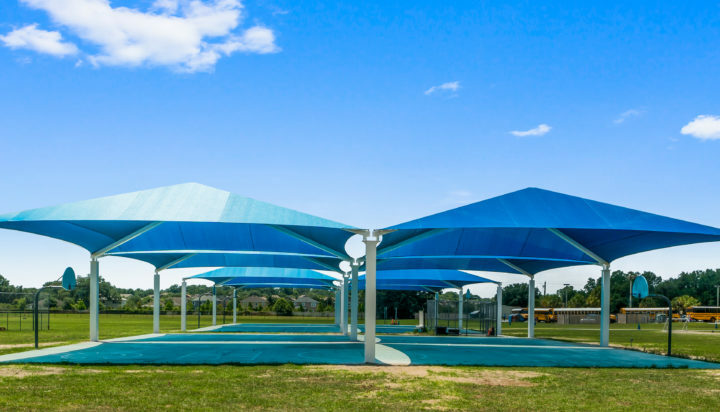 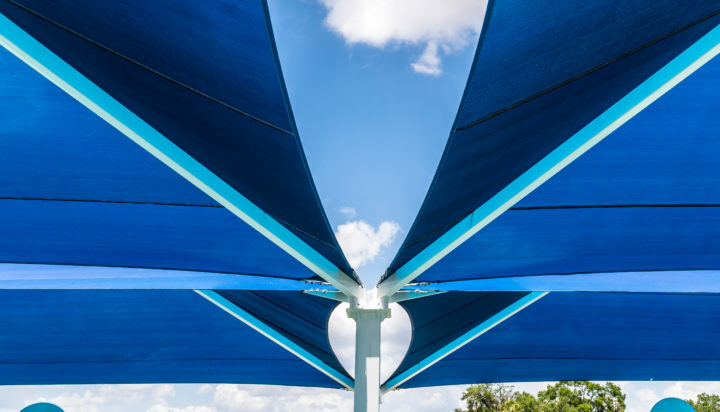 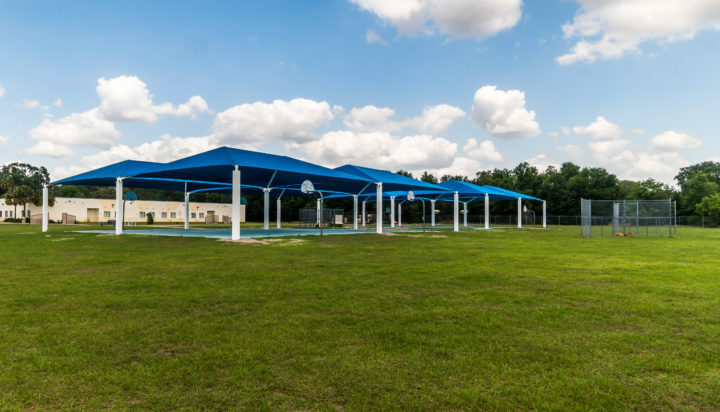 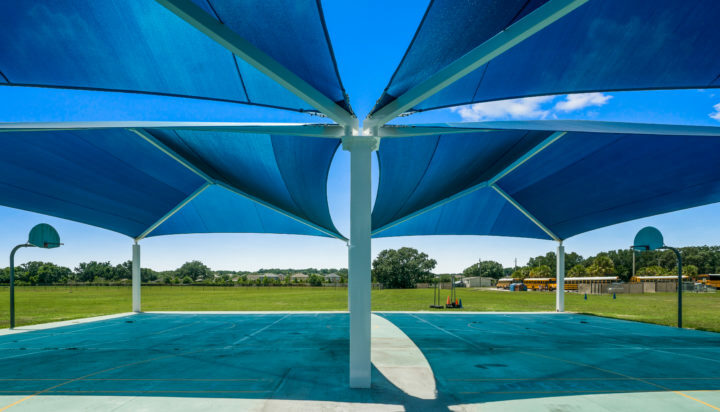 The two shade installed here provided over 14,000 square feet of shade and the entire project was completed in only a weeks time! 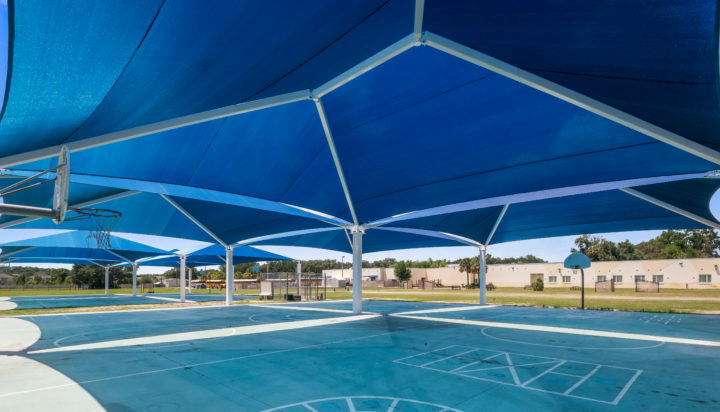 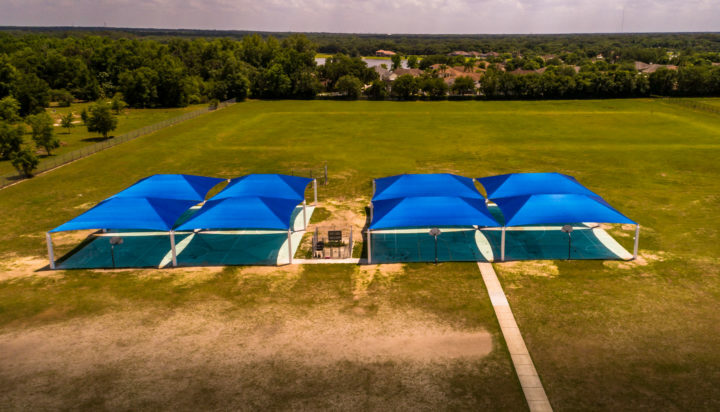 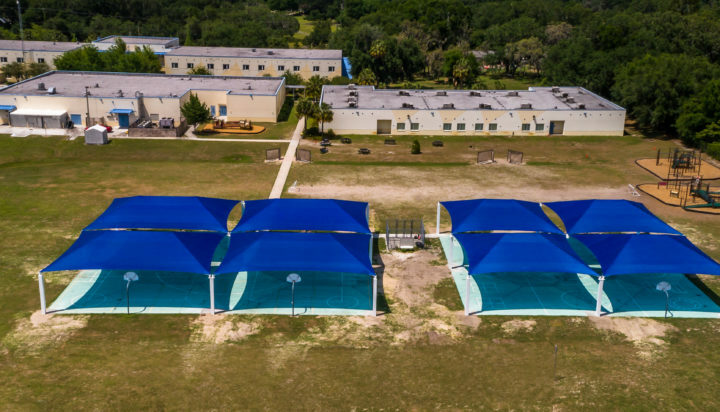 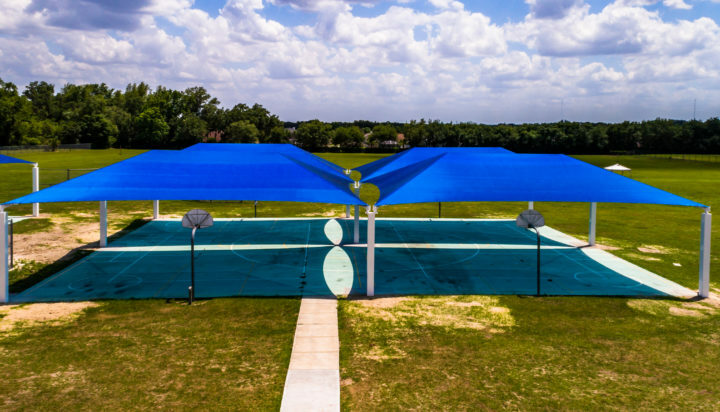 This project required permitting and appropriate engineering to ensure that the structure would be compliant with Florida building code and wind load requirements. 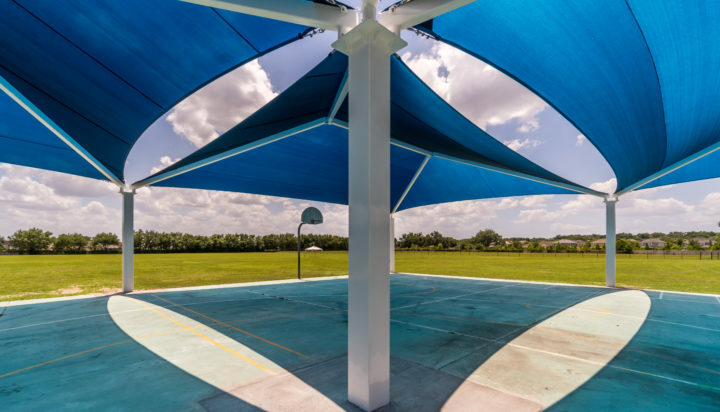 Engineered to meet Florida building code requirements. 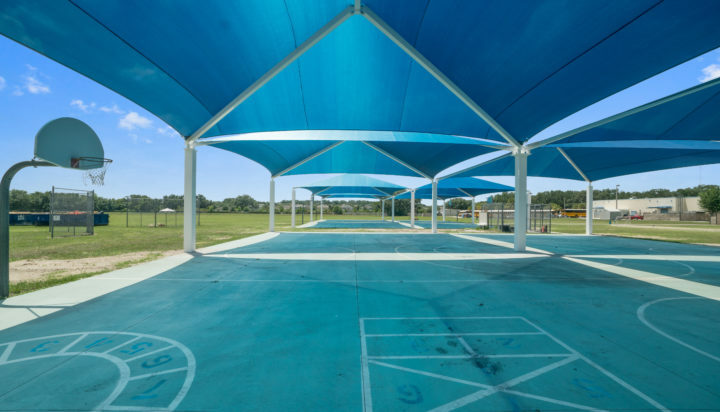 ASTM, CPSC compliant playground equipment and surfacing products. 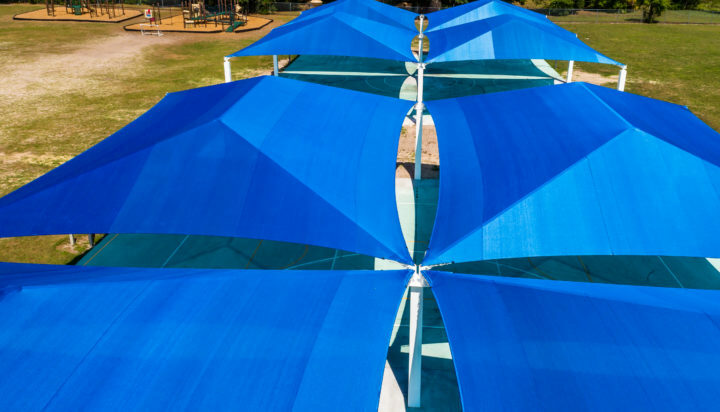 Blocks 95% of harmful UV Radiation.